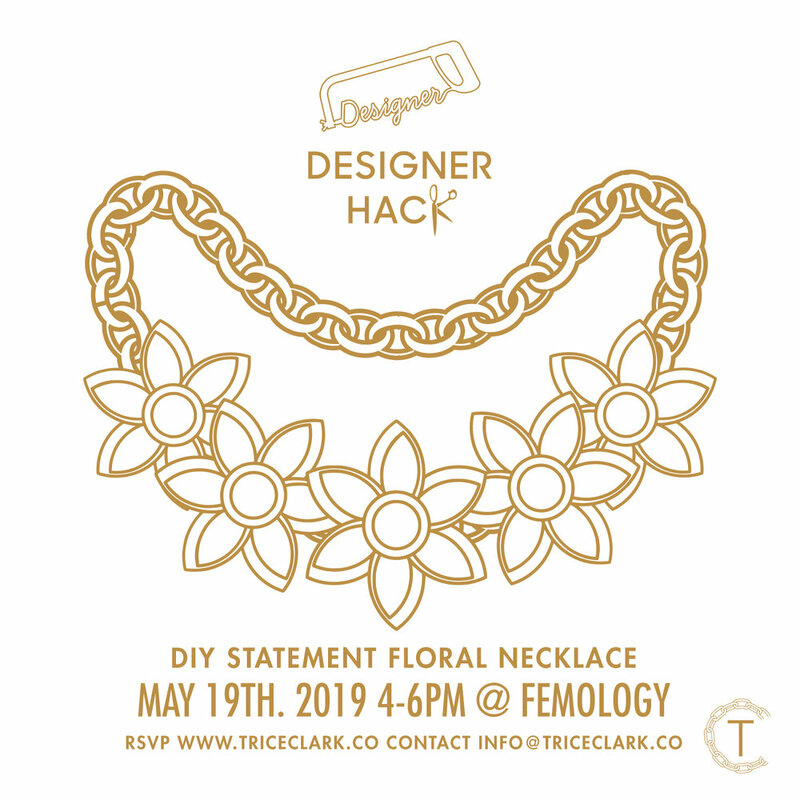 Designer Hack is back Sunday, May 19th 4:00-6:00pm at Femology. During our next workshop we will be taking on the floral necklace trend, recreating designs inspired by Oscar De La Renta and Versace. RSVP to reserve your kit to create one gold tone choker with enameled floral embellishments.